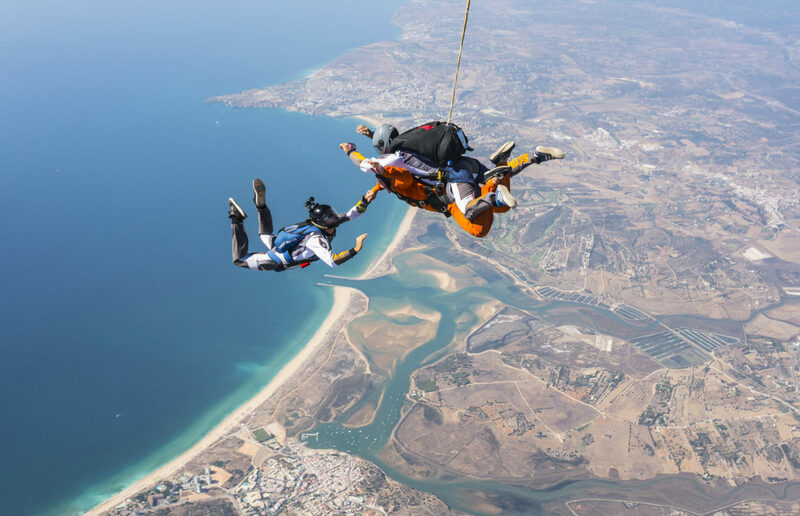 Skydive Algarve | Freedom. Absolute freedom. 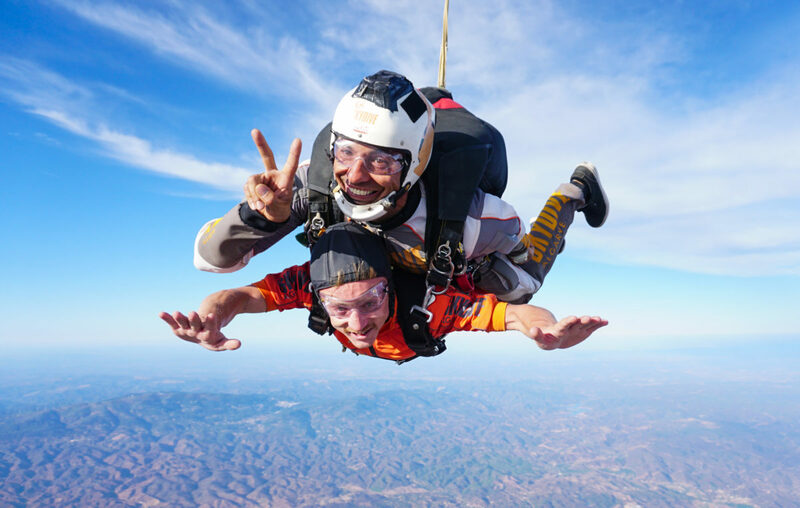 Tandem Skydives are an excellent group activity and not only have team building benefits but also create the opportunity to raise lots of sponsorship for charity at the same time. 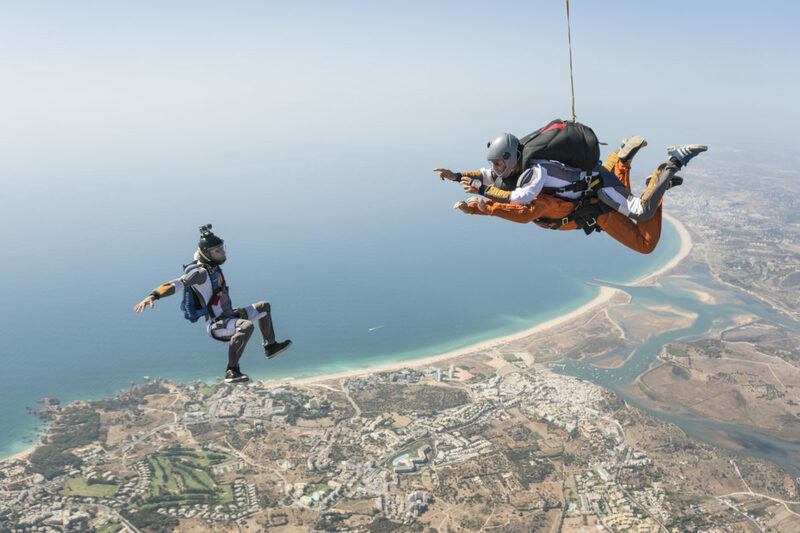 Group jumps of all kinds can be catered for at Skydive Algarve, whether it’s 10 or 60 people, we can accommodate you. We understand booking an event for a big party does require some preparation which is why we allow you to reserve dates for a certain period of time to ensure you have enough time to get organised. 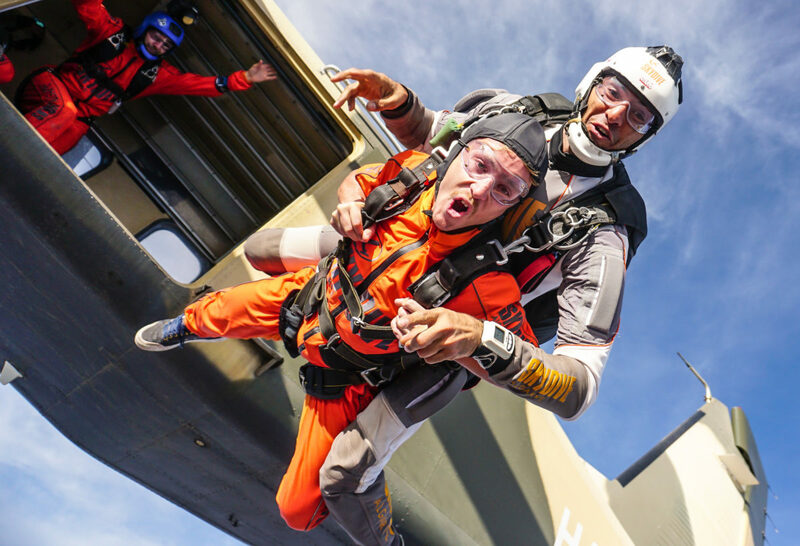 What better way to gather sponsorship from friends and family than by doing a charity skydive? It’s the ultimate challenge and should help raise plenty of funds for a good cause. 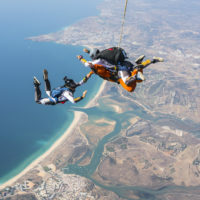 Many employers and large companies offer match-funding or have a specific charity they support and will assist in charitable events like a team sponsored skydive. 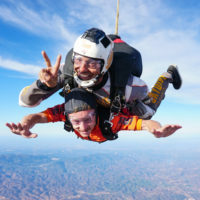 Some charities will cover the cost of your skydive in return for a minimum amount of sponsorship raised. 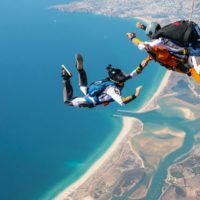 This fundraising target is usually around twice the cost of the jump, or for a group they may set you a team total to achieve. Rather than the typical conference centre or go-karting experience, consider treating your team to a real adventure in the Algarve. 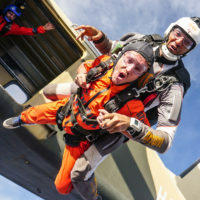 Not only is it an unusual day out but there are many benefits to performing a team jump – it can develop team relations and boost both team and personal confidence levels in a life-changing way. 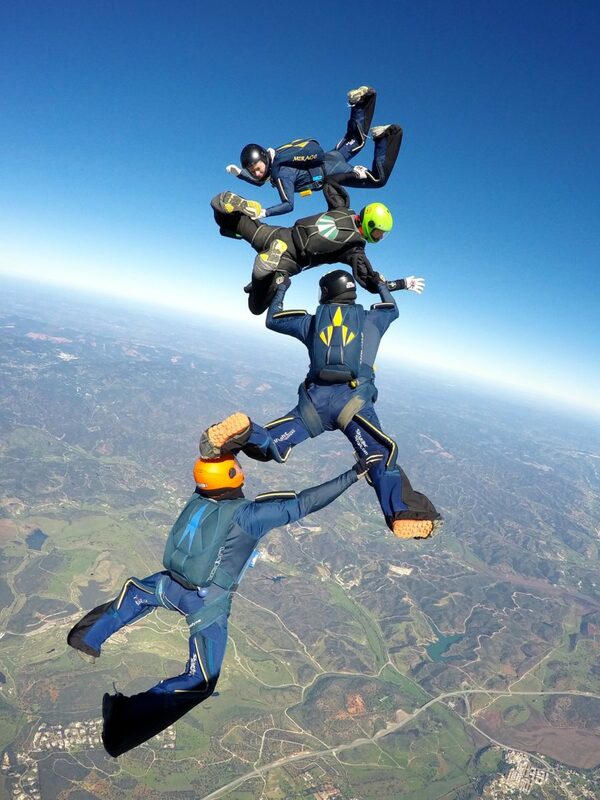 There are many different activities in life that can help strengthen the bond within a group but skydiving reaches this on a new level. It’s a huge achievement to jump out of a plane, so putting your trust in our instructors and taking part in this activity as a group can really establish a good rapport and strengthen a team’s relationship, giving everyone a common bond and talking point for years to come. 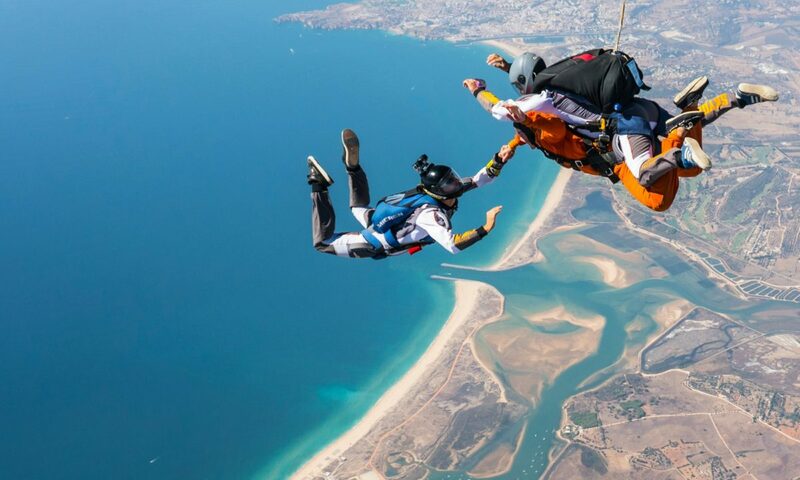 Skydiving is a life-changing activity that can alter your outlook completely. 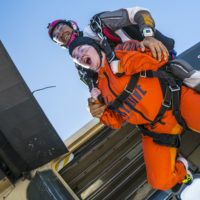 You become stronger and feel more powerful, successful and content by overcoming the fear we all quite understandably have when faced with the prospect of jumping from a perfectly good aircraft, or an inherent fear perhaps of flying or heights. Many of our customers say it has been an extremely empowering experience. 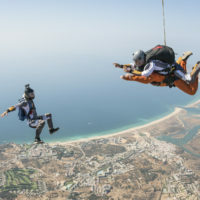 After taking part in a group tandem skydive they realised nothing is really that scary or dangerous anymore and were more prepared to face whatever life then threw at them. 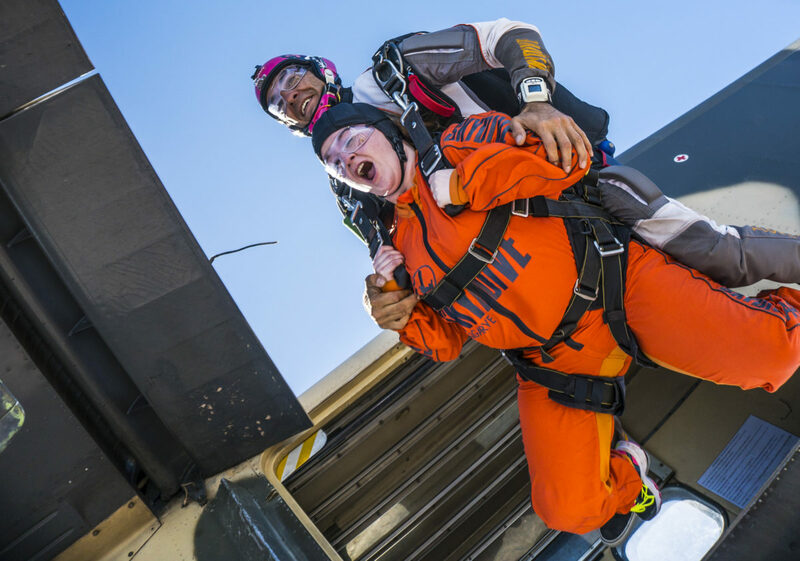 There’s no better feeling than ticking something off your bucket list and overcoming a fear at the same time! We offer group discounts for large events, and we can arrange a special lunch for your team at the SkyCafé and a cold beer (or a stiff drink!) afterward to celebrate. Just get in touch and we can help you to organise your group skydive with us.